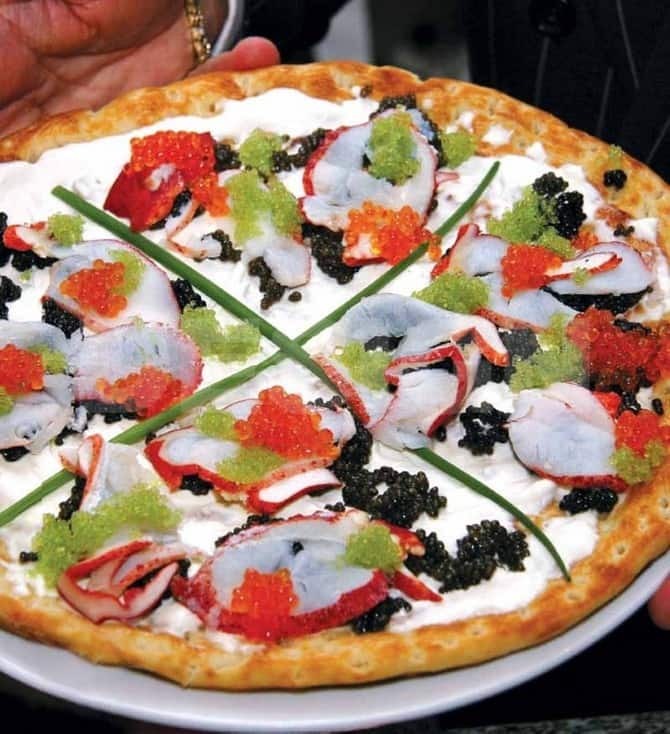 This pizza has toppings of caviar soaked in champagne, lobster marinated in cognac, Scottish smoked salmon and edible gold flakes. It was auctioned at $2400. Would you like to have this gold pizza? It is prepared on Halloween. 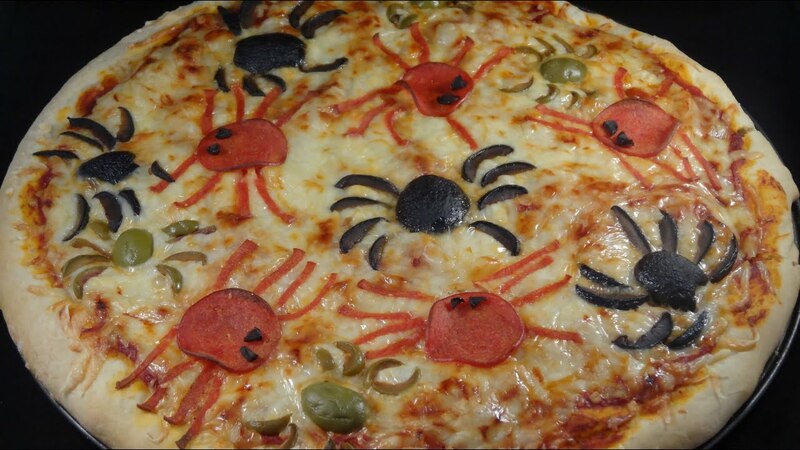 This spooky pizza is made using black olive tapenade and mozzarella for the web. Spiders are specially purchased. 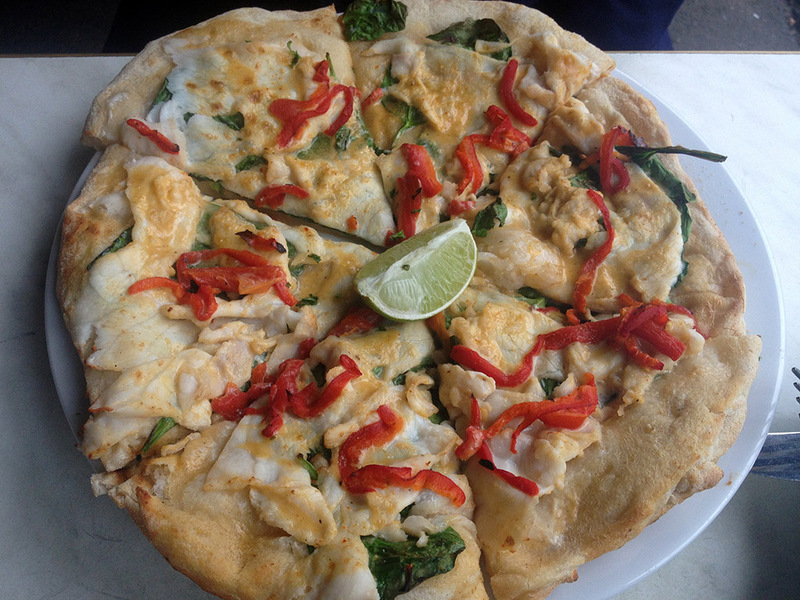 It is called as saltwater crocodile pizza. The pizza is prepared with the toppings of crocodile meat. Ever imagined a pizza with a crocodile on top? The base of this pizza is rice instead of dough. It is like a full bowl of rice and pizza together. It is as dangerous as a volcano. You need to wait till the pizza cools down. 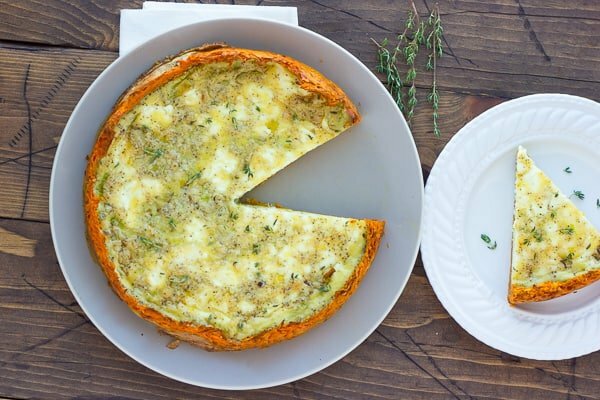 It is stuffed with tangy sauces and cheese which squirts when you slice it. The crust is not about cheese anymore. In this pizza, the crust is stuffed with sweet potato filling. This gives you an extra dose of carbs. The pizza is topped with fresh raspberries and soft goat cheese along with thyme leaves. 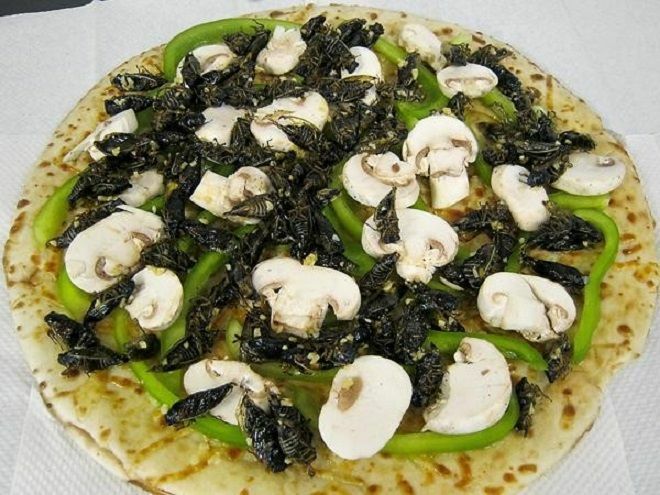 Well, yes this pizza has the topping of cicadas. They are snappy and their legs jingle on the way down to the stomach. Eww! 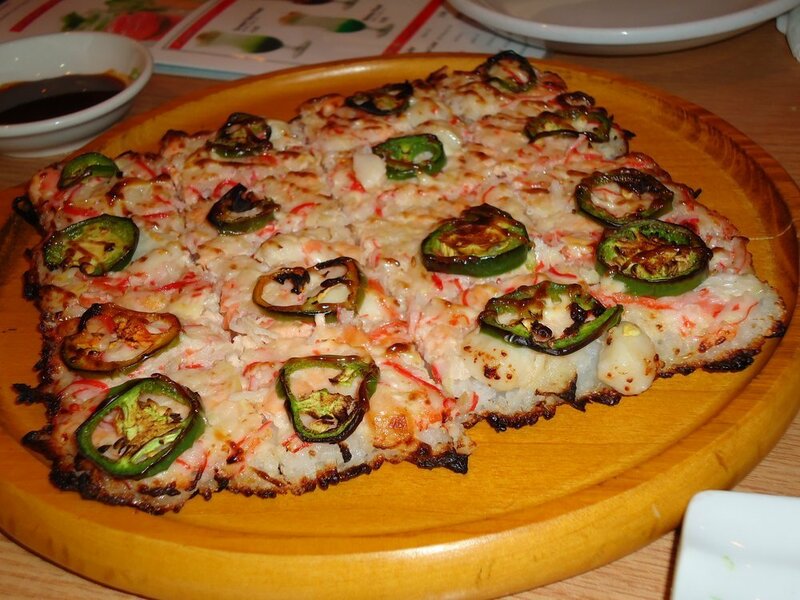 Japanese sushi is the base of the pizza. They use crispy and chewy rice patty for the base and is topped with avocado, salmon, crab meat and tuna. Which pizza would you like to try?